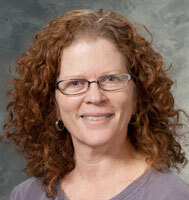 Lori teaches adult and teen mindfulness classes with the Mindfulness Program at UW Health. She attended the professional training program with the Center for Mindfulness at the University of Massachusetts Medical Center and has trained with the Center for Mindfulness at UC-San Diego. Lori participated in the CARE (Cultivating Awareness and Resilience in Education) Program and is currently participating in Sustainable Compassion Training through the Courage of Care Coalition. She is a dedicated educator having worked in the Madison Metropolitan School District for over 25 years. Her interests include sharing mindfulness and compassion practices with teachers, students and families to support well being.